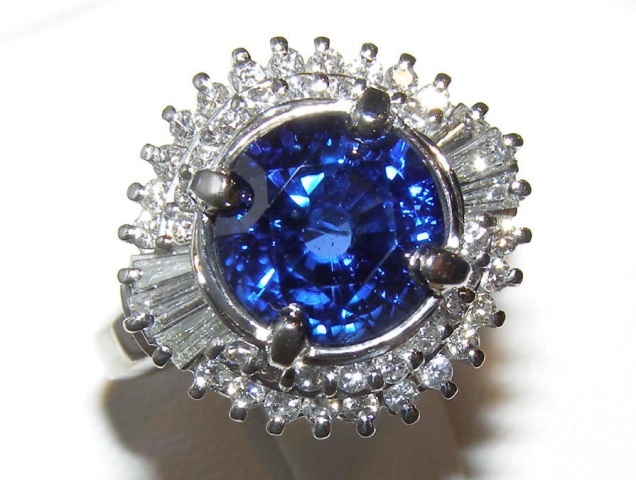 Showcasing Ceylon’s finest is this large 4.66 carat round brilliant AGL certified sapphire. 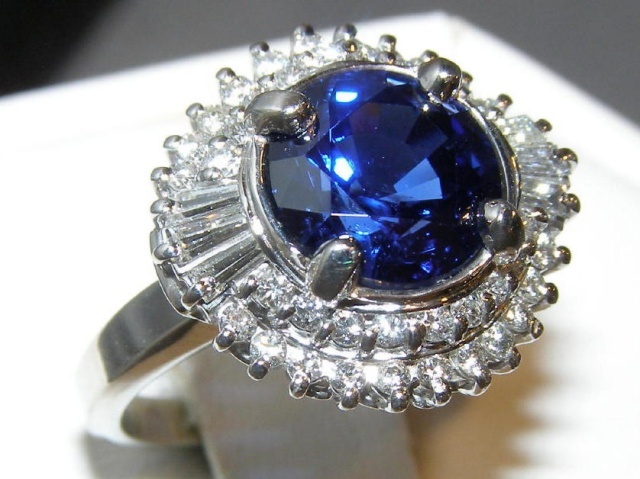 With ideal rich cornflower blue color with a faint secondary purple hue this sapphire elicits the rich velvet like luster of only the finest stones. 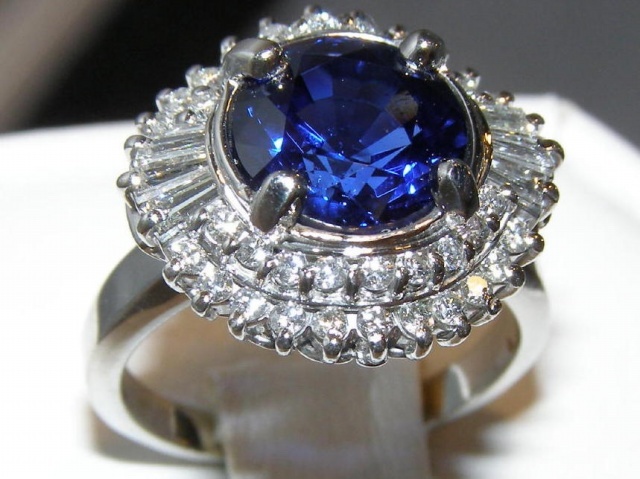 Void of windows, shadows or dark areas the sapphire has an excellent round brilliant cut that couples with superb clarity to produce unrivaled bright blue brilliance. 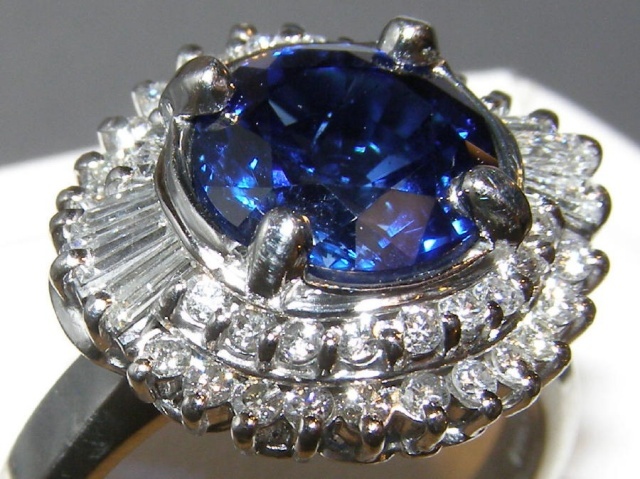 The intensity of this sapphire’s brilliance is breath-taking. 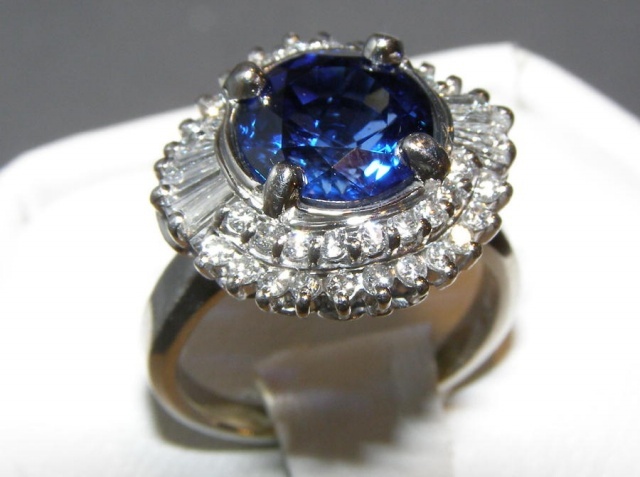 The sapphire is quite clean. 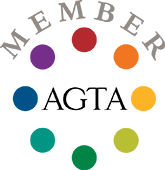 Using a 20X jeweler’s loupe you will note two small feathers in the pavilion and a comma shape colorless inclusion that runs directly through the center approximately half way down the pavilion. 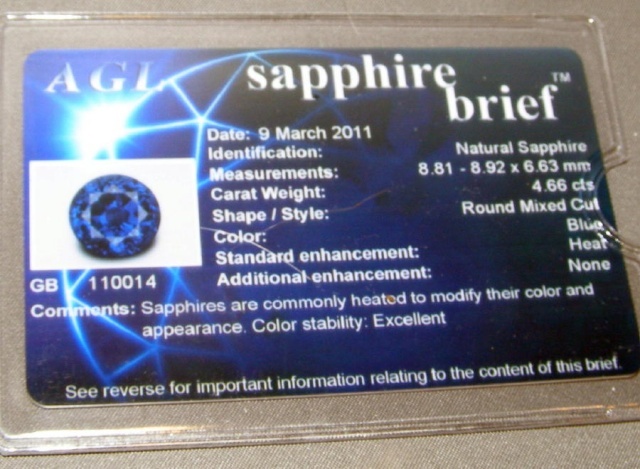 Please note that there are no white or brown spots or lines on the sapphire and those noted in the photos are reflections off the table facet edges. 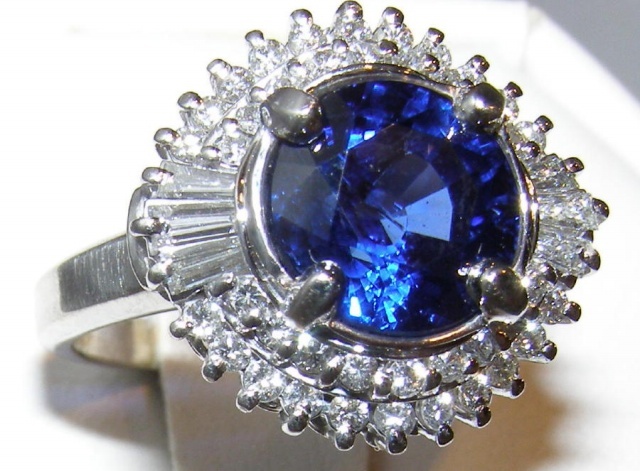 A four prong heavy platinum setting holds the sapphire which is set low as an added precaution for such a large stone. 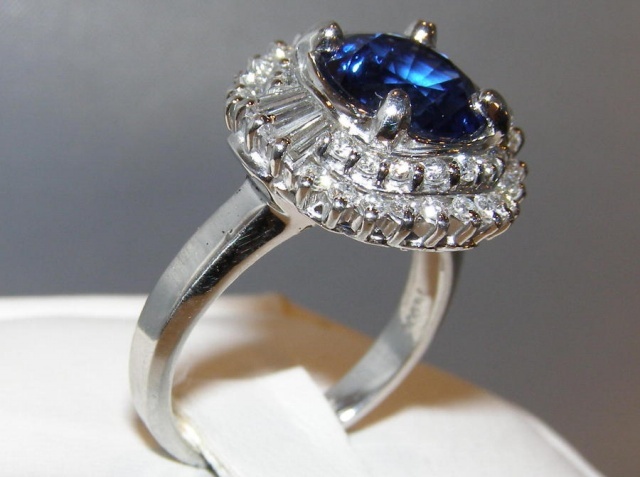 The sapphire measures 8.81×8.92 X 6.63 mm and is surrounded by a halo of prong set round brilliant and baguette cut diamonds that are 1.00 carats total weight. 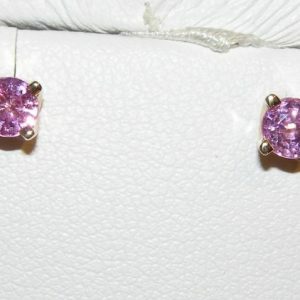 These fine quality diamonds are rated VS1 clarity and GH color. 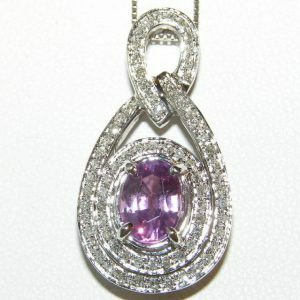 A substantial 12.3 grams of platinum was used to make this ring which is a size 6 (Free resizing available).